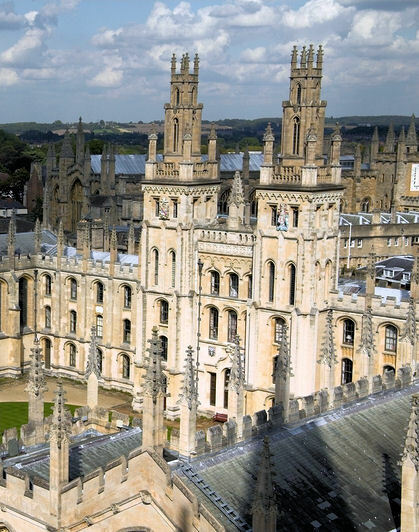 Walking tour of Oxford: Follow in the footsteps of Oxford's famous students, from C.S. Lewis to Bill Clinton, as you stroll the captivating college courtyards and cobbled lanes of this historic university town. Take in the famous 'dreaming spires' and see the the Bodleian Library – one of the oldest libraries in Europe – on your visit. You'll be captivated by the unspoilt narrow alleys and ancient squares of this naturally beautiful town. Christ Church: A treat for moviegoers of all ages, Christ Church is instantly recognisable as one of the major locations for the Harry Potter films! Marvel at the magical grandeur of the Great Hall, used as the setting for Hogwarts. The Cotswolds: Discover the captivating Cotswolds! Enjoy views of breath–taking countryside, sleepy villages, and bustling market towns as we drive through the charming scenery of one of England's most beautiful regions. Shakespeare’s Birthplace at Stratford–Upon–Avon: A market town with a difference, Stratford–upon–Avon is the famous home of arguably the world's greatest writer, William Shakespeare. Visit the picturesque half–timbered house where the legendary Bard was born to gain fascinating insights into his childhood. upon-Avon! See where the famous playwright grew up and spent his years as a married man.